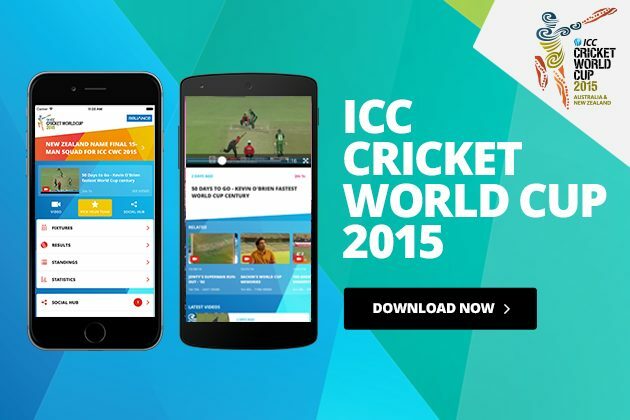 Blog › Who will win the ICC Cricket World Cup 2015 cricket trophy? The matches will take place between February 14th to 29th March, across 44 days of one-day international cricket. There are three teams entering the tournament on top form, hosts Australia and New Zealand, and South Africa. At the next level are teams like Sri Lanka, India and perhaps, England who on any given day can give the three favourites a real run for their money. Then, if you throw into the mix the Pakistanis and West Indians, who can go from the sublime to the ridiculous from one game to the next, there is plenty to be excited about. Australia is expecting something big to happen in the coming weeks as they host the Cricket World Cup 2015. Not only are they hosts, but they are favourites to win the tournament on home soil. After some indifferent spells, Australia are back to their very best and home advantage will give them the edge. So, who will win this brilliantly designed cricket trophy? The ICC Cricket world cup cricket trophy was crafted and designed by a team of craftsmen from London-based Garrard and Co. This most prestigious of all cricket trophies, is composed of silver and gold. It weighs 11kg and stands 60cm height. The three columns, shaped as stumps and balls, represent the three fundamental aspects of cricket—batting, bowling and fielding—while the globe characterises a cricket ball. Why not buy your sports trophies and cricket trophies from CSK trophies and medals. Our range includes mirrored glass column awards, batting and ball figures, mahogany plaques, with tankards available too, all individually boxed. Simply select the cricket trophies you wish to purchase, then enter the personalised message that you require, engraved for free. All our cricket trophies are ideal to present winners with, as we supply a large variety of different styles and materials to suit every players dream. CSK have the ideal cricket trophy for your team, whatever, the league or cup competition. Some of our cricket trophies even provide a centre circle to display your home badge or county success. If you have any questions regarding our cricket trophies, please contact CSK today.